4k00:13USA - CIRCA 2015: Soda machine fountain drinks, serving Coca-Cola products, at restaurant, shot in UHD / 4k resolution. 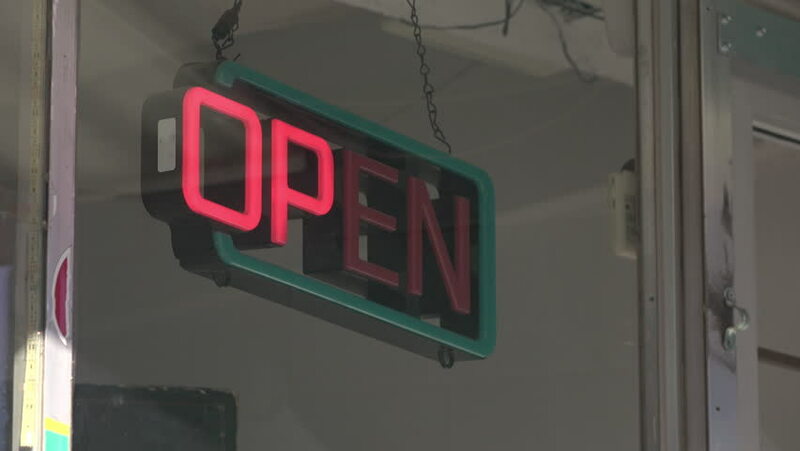 4k00:05Panning shot of a blinking neon open sign indicating a store or place of business is open. hd00:30GENEVA - MARCH 2013 : Sequence of few shots of UBS bank in Geneva, Switzerland, during winter. hd00:12The sign on air is switched off and joins on radio and TV of studio. 4k00:08Close up of a blinking neon open sign indicating a store or place of business is open.